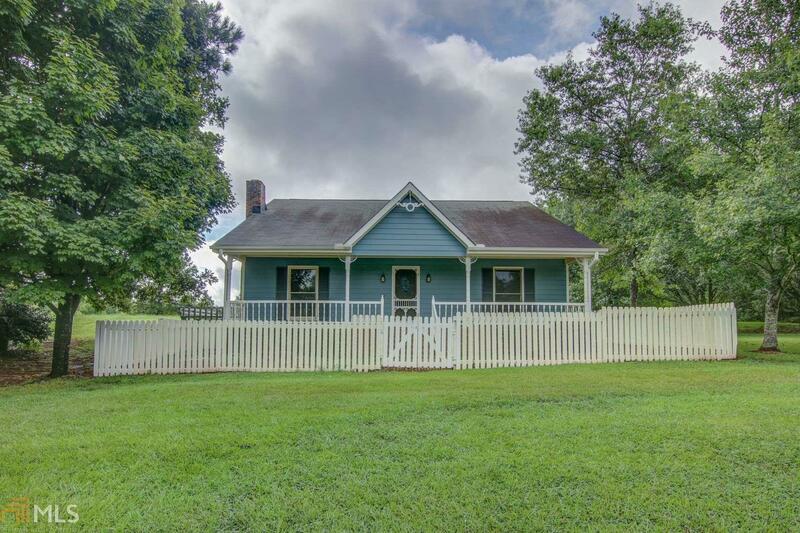 Great ranch sits on top of hill on 3.33 acres. Home invites you with the rocking chair front porch, opens up into cozy family room with beautiful brick fireplace, vaulted ceiling, and built ins. Large double case opening into kitchen with lots of cabinets and counter top space. Hallway leads you to 3 bedrooms, master bedroom very spacious with walk in closet and nice tile bath. Home has 2 car carport that is kitchen level entry. Call agent to schedule a viewing. Very close to Social Circle and Covington. Great access to I-20 also. Directions: I-20 East Exit Hwy 11. Turn Left Follow About 1 Mile Property On Right. Shared Driveway Follow Drive To Left. House Sits On Top Of Hill. White Picket Fence In Front.